The biggest and most interesting Assassin's Creed 4 add-on - Freedom Cry DLC - soon will be released separately from the game itself. So if you always wanted to play as a black slave, who struggles for freedom, but haven't bought Assassin's Creed 4: Black Flag, then it is your chance. Yesterday Ubisoft announced that Freedom Cry DLC will get a standalone release, and so now everyone will be able to download it and play without the necessity of buying the main game. However, not all Assassin's Creed fans will be able to enjoy the new title, because Freedom Cry DLC will be available only for PC, PS4 and PS3. "Sony and Ubisoft have built a solid partnership on the Assassin’s Creed brand, and Sony shares our enthusiasm for expanding the reach of this game," the Ubisoft's representative explained yesterday. 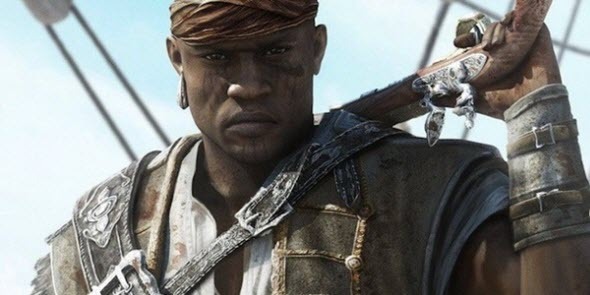 Let us remind you that in Freedom Cry DLC you are playing a role of Adewale - a right hand of the Assassin's Creed 4 protagonist, who is a former slave, but a great warrior and a sailor. During this single-player campaign, Adewale will be trying to enslave as many bondmen as possible and not to die while fighting for freedom. Standalone Freedom Cry DLC will be released for PS3 and PS4 on the 18th of February in North America and on the day after in Europe. The PC version of the add-on is coming on the 25th of February.